American-style decorated sugar cookies are fun and pretty to look at but tend to be bland in flavor. German Christmas cookies are not only beautiful but packed with flavor as well with ingredients like nuts and lemon. 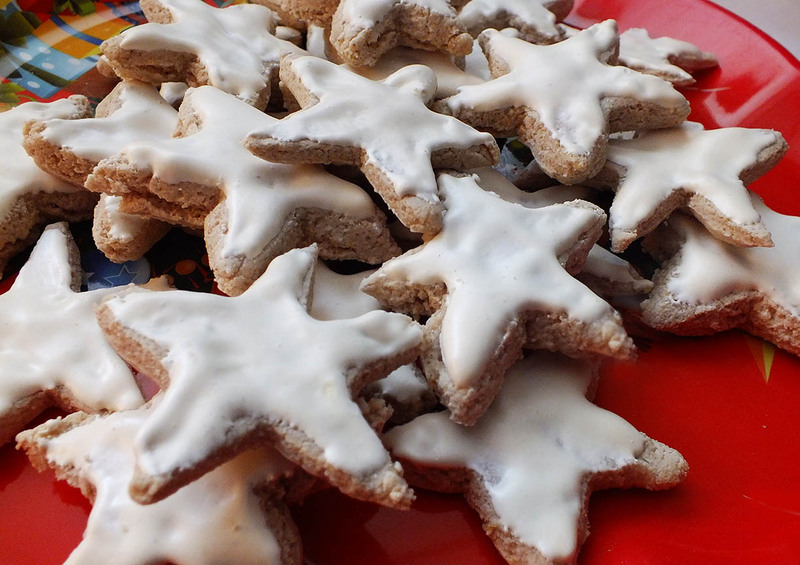 Try one of these traditional German cookie recipes today. Cream butter and sugar with electric mixer until smooth and fluffy. Beat in eggs and extracts. Sift together the spices, salt and flour and add to butter mixture, mixing well. Cover and refrigerate 2 hours. Preheat oven to 375 °F. Shape teaspoonfuls of dough into ovals and place 1 inch apart on ungreased cookie sheets. Bake 10 minutes. Remove from cookie sheets and place on wire racks. 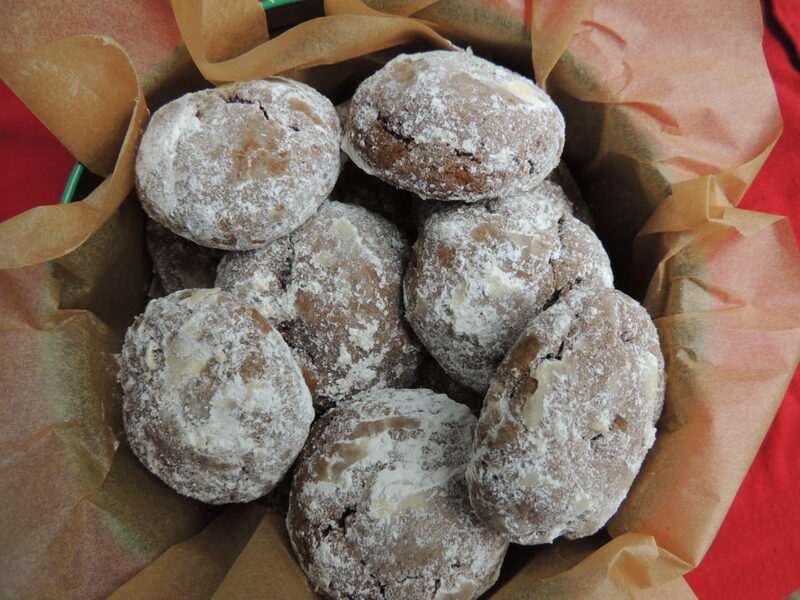 Sprinkle with confectioner’s sugar while cookies are still warm. When cookies are cool, store in airtight containers. Preheat oven to 350°F. Beat together butter and sugar until light and fluffy. Blend in extracts. Mix in flour and almonds. 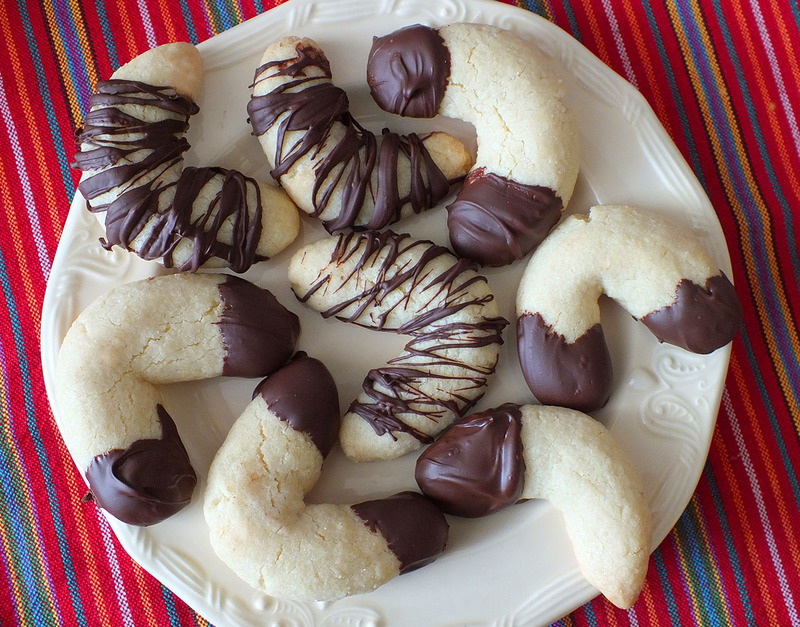 Using about 1 tablespoon of dough for each cookie, shape into logs and bend into crescent shapes. Place on greased cookie sheet and bake 12 to 15 minutes until light brown. While warm, roll crescents in confectioners’ sugar. Cool on racks and store in a tightly sealed container. Toast hazelnuts in a shallow baking pan until fragrant and skins begin to loosen, about 6 minutes. Rub nuts in a kitchen towel to remove any loose skins, then cool to room temperature. Pulse nuts and 1/4 cup brown sugar in a food processor until nuts are finely ground. Mix flour, baking powder, salt, and cinnamon in a small bowl. Beat together butter and remaining 1/4 cup brown sugar in a large bowl with an electric mixer at medium-high speed until fluffy. Add nut mixture and beat until combined well, about 1 minute. Beat in egg and vanilla. Add flour mixture, mixing until just combined. With floured hands, form dough into 2 balls and flatten each into a 5-inch disk. Chill disks, wrapped in plastic wrap, until firm, at least 2 hours. Preheat oven to 350°F. Roll out 1 disk of dough into an 11-inch round (1/8 inch thick) between 2 sheets of wax paper (keep remaining dough chilled). If dough becomes too soft to roll out, rewrap in plastic and chill until firm. 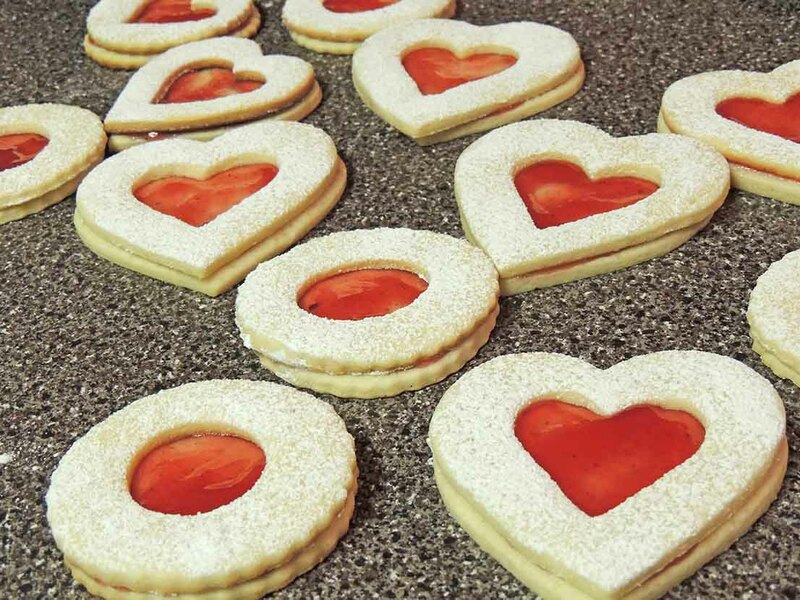 Cut out as many cookies as possible from dough with a larger, round cookie cutter and transfer to 2 ungreased large baking sheets, arranging about 1 inch apart. Using a smaller cutter, cut out centers from half of the cookies, reserving centers and rerolling along with scraps (reroll only once). Bake cookies, switching position of sheets halfway through baking, until edges are golden, 10 to 15 minutes, then transfer to racks to cool completely. Make more cookies from second disk. 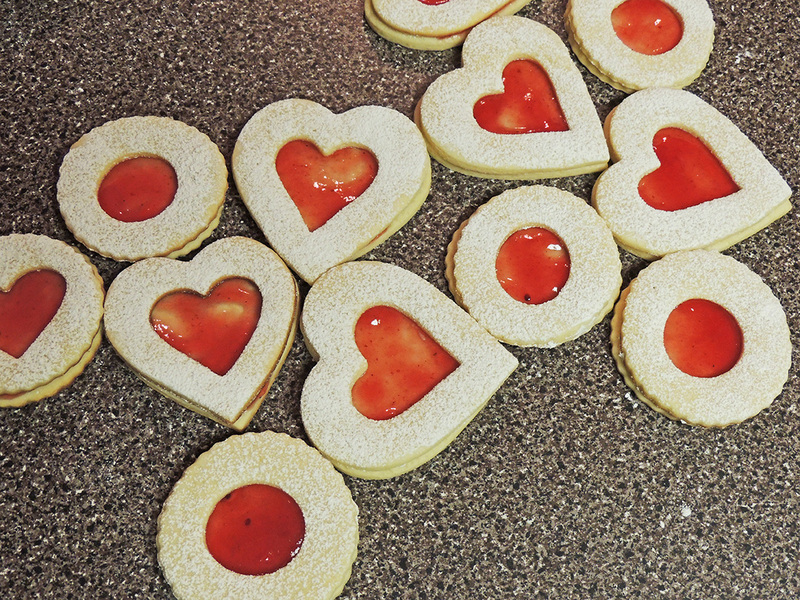 Spread about 1 teaspoon jam on flat side of each solid cookie and place cookie with hole on top, flat side down. Repeat with remaining cookies. Dust with confectioner’s sugar if desired. Preheat oven to 350°F. Beat egg whites and salt until stiff. 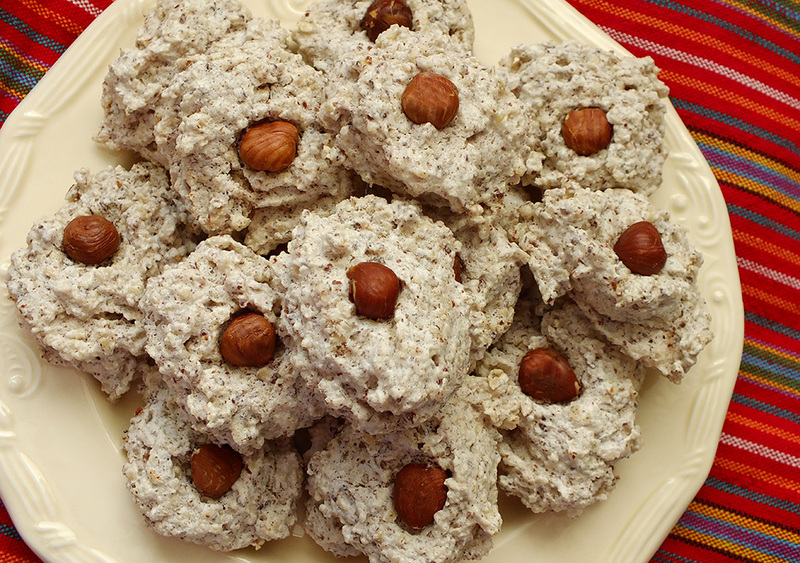 Gently mix sugar and vanilla into beaten egg whites and then fold in nuts. Use a teaspoon to drop small scoops of dough onto a greased cookie sheet. If desired, place a whole hazelnut in center of cookie. Place on the middle rack of the oven. Bake until golden brown for 15 to 20 minutes. Put 1/2 cup of the sifted confectioners’ sugar, almonds and cinnamon in a food processor. Process until the nuts are finely ground. Whip the egg whites until they hold soft peaks, about 1 minute. Gradually add the remaining confectioners’ sugar, until the whites are thick and stiff, about 2 minutes more. Set aside 2/3 cup of meringue for topping the cookies. Fold the ground almond mixture and the lemon zest into the remaining meringue to make a stiff dough. Preheat oven to 250°F. Line 2 baking sheets with parchment paper. Lay a sheet of parchment or waxed paper on a work surface and dust with confectioners’ sugar. Turn the dough out onto the dusted paper, flatten and dust with more sugar as needed, and then lay another sheet of parchment or waxed paper on top. Roll the dough between the papers to 1/4-inch thick. Flip dough over and peel off the paper. Lay the paper back on the dough, flip again and gently pull off the other side of the paper. Cut cookies with a 3-inch star cutter and place 2 inches apart on prepared baking sheets. Spread the reserved meringue over the top of each cookie, without letting the meringue drip over the sides. Bake until meringue is set and crisp, about 30 minutes. Turn off oven and open oven door to release heat and dry cookies out in the oven for 10 more minutes.